Kristi Foster received her B.S. degree in chemical engineering from Purdue University and spent 13 years working in the petrochemical industry. She became an avid scuba diver, which changed her life. Kristi returned to graduate school and received her PhD in Oceanography from Nova Southeastern University. She has experience as an outdoor educator, scuba and CPR/first aid instructor, citizen science team leader, research scientist, and adjunct professor. Kristi moved from the remote Caribbean island of Little Cayman to join the Tillamook Estuaries Partnership as the Education Coordinator in 2016. She became the Executive Director in 2018 and looks forward to advancing the organization. Kristi loves traveling the world with her husband and has visited 50 countries and counting. Claudine Rehn is the Deputy Director for the Tillamook Estuaries Partnership. She received a Bachelor of Science degree in Business Administration from California Polytechnic State University at San Luis Obispo. Originally from California, Claudine has been fortunate to work for several successful non-profit organizations both managing and writing grants. She has two grown children – three if you include her husband – 3 cats and a dog that provide her constant amusement and chagrin. In her free time, Claudine is on the beach volunteering for the Haystack Rock Awareness program as a tide pool interpreter (and in search of the ever elusive alabaster nudibranch). Scott is a Project Manager with TEP. He manages habitat restoration and enhancement projects and monitors their effectiveness. Scott received a B.S. in Biology from Idaho State University in 1988 and a M.S. in Wildlife and Fisheries Sciences from the University of Arizona in 1992. Born and raised in Idaho, Scott has lived and worked in several western states and has been employed by private environmental firms; state, federal and tribal resource management agencies; and non-profit organizations. Scott is married with two wonderful daughters. When not at work, he enjoys creating art, food and drinks and spending time in the great outdoors. York Johnson is the Monitoring Program Coordinator for the Tillamook Estuaries Partnership. He received a Bachelor of Science degree in Fisheries and Wildlife from Michigan State University. Originally from Michigan, he moved to Oregon in 1996 and worked for the Oregon Department of Environmental Quality completing Total Maximum Daily Load (TMDL) analysis for the Willamette River and other smaller watersheds throughout the State. Water quality is York's specialty and when not working on water quality issues he is out enjoying it whether surfing along the coast or kayaking the many estuaries. David Harris is a Habitat Restoration Project Manager with the Tillamook Estuaries Partnership. He received a bachelor’s degree in environmental studies from the University of California Santa Barbara in 2004. Following the completion of his formal education David worked for ten years implementing restoration in a variety of habitat types on the Central Coast of California near Santa Barbara. David’s family originally from Oregon, lured him back to the state landing him on the North Coast. David is thrilled to be a part of the TEP team and the tight-knit community that surrounds Tillamook Bay. He is delighted to work closely with the community to improve the natural environment we all enjoy. David is an avid outdoor enthusiast whose hobbies include fishing, hiking, botany, birding, and mushrooming just to name a few. Maysa Miller is the NW OR Restoration Partnership (NORP) coordinator with the Tillamook Estuaries Partnership. Her work entails managing a 50,000+ native plant nursery and distributing over 75,000 plants to restoration projects all over NW Oregon. Originally form Southern Maryland, she moved to Portland, Oregon in 2008 and graduated from Portland State University with a B.S. in environmental science and Honor’s organismal biology in 2014. She lived and worked as a science instructor at Opal Creek Ancient Forest Center until spring 2016. Her love of botany landed her a seasonal internship with the Tillamook BLM as a native seed collector. Little did she know she would find a home and purpose here with TEP. When not working with vascular plants, Maysa studies lichen and moss. In the years to come, she hopes to participate in all the hunting, fishing, surfing, kayaking, and scuba diving the rugged Oregon coast has to offer. Alix Lee is the Community Education and Engagement Coordinator with the Tillamook Estuaries Partnership. Originally from Montana, she received a Bachelor of Science Degree with a Marine Specialization from Barry University in Miami Shores, Florida. Alix moved to Oregon in 2011 to work as an AmeriCorps volunteer for The Nature Conservancy’s Klamath Basin Field Office. After studying endangered sucker fish and monitoring water quality, she moved to the Oregon Coast managing volunteers and educating visitors about intertidal and bird life with the Haystack Rock Awareness Program. For the last four years, Alix has been the Coordinator for the Lower Nehalem Watershed Council implementing habitat restoration projects and conducting outreach. Alix is an outdoor enthusiast and loves to share that enthusiasm with anyone who will listen. She is excited to be shifting gears to focus on education and outreach with TEP. 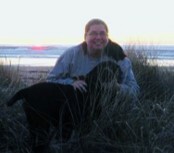 Debra Grace is the Administrative Assistant with the Tillamook Estuaries Partnership. Debra has spent time working with several non-profit organizations and looks forward to bringing her experience to TEP. Debra and her husband moved to the Oregon Coast 11 years ago so they could be closer to the ocean and the land that they love. In her off-time Debra enjoys spending time hiking and traveling with her husband and dogs as well as expressing herself through her painting, drawing, and photography. Debra looks forward to being a valuable asset to not only TEP but also the environment they pledge to protect.